Forum breadcrumbs - You are here:ForumGeneral discussion: General DiscussionSidecar Brake question. Is this a reliable way to provide a brake? Rig has 39K so I guess it works but having that Master Cyl. out in the open seems open to road debris damage. Hmm, won't let me add a picture. OK I'll try to add a photo later. Not having any success now. It appears to me that the cable could contact the road when the bike and sidecar are loaded down with rider, passenger, and luggage. Do you need the sidecar brake? Some use a separate sidecar brake pedal beside the rear brake pedal, but in an emergency stop you might hit one pedal and not the other. I thought I'd want a brake on the sidecar when I first bought the sidecar used. Now I'm not so certain I do after more than 70,000 miles of riding. 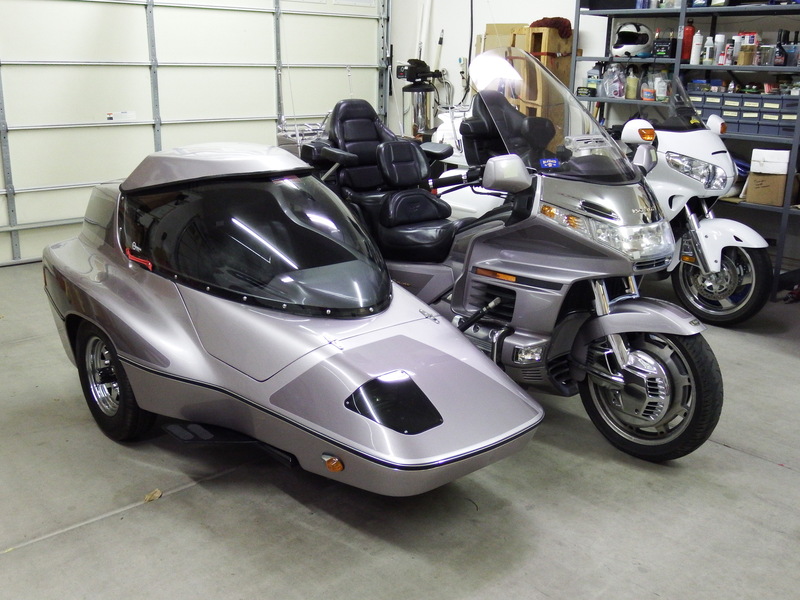 My Motorvation Formula II sidecar may not weigh quite as much as a Hannigan, but you should soon learn to compensate for the inertia of the sidecar. That does look a bit strange, and low. Anyhow, Jay from DMC will tell you, you need a brake. I will tell you, Jay knows what he's talking about. However, I don't have a brake on my rig. It is way lighter than yours, though, a little Velorex that could probably fit inside your hack. If you have it- I would definitely keep it. I just upgraded mine, and I debated whether to add a brake. With hydraulic front disc and mechanical drum rear, I really wasn't sure what to do to ' match', but I decided not to go with a brake. It was a lot more expense for something I'm probably not keeping. (I either hate it and ditch it or love it and upgrade.) My advice, even if you don't like the setup, keep the brake. You have the essentials, you don't need a brake, pedal, any of that. I've heard of an extra cylinder, because the stock bike ones don't have enough volume, sounds like a solid system you got. Just kind of weird hanging down like that, maybe someone installed it on the wrong side of the mount? I have a sidecar brake on my rig and wouldn't be without it. More braking and better straight line stops. It is intergrated with the front brakes, so that any time I apply the front brakes it activates. I like that setup as there is no other lever etc to play with and the brake line is safely ziptied to the mounts and sidecar frame. 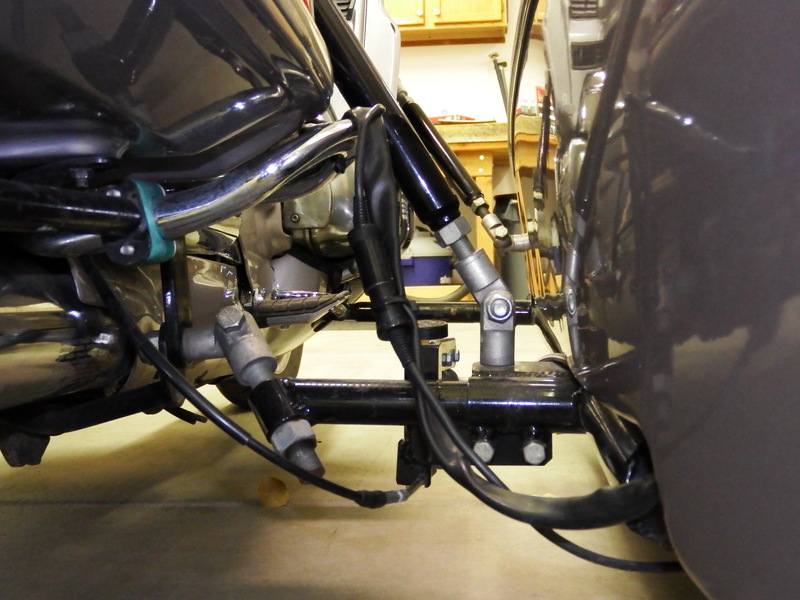 The sidecar brake is a 1 pot affair so it has limited braking power when compared to the front of the bike. Works well for me. Some like the separate lever as they can apply the sidecar brake alone, say in starting right curves, or maybe have it set up so you can use it as a parking break. Each to their own when it comes to brakes. The lines going to the sidecar seem to hang down a bit far, but for a road going rig it likely won't cause any problems. Post Reply: Sidecar Brake question.